Last evening, I took a few pictures as we documented “first flower out” on the daylilies. 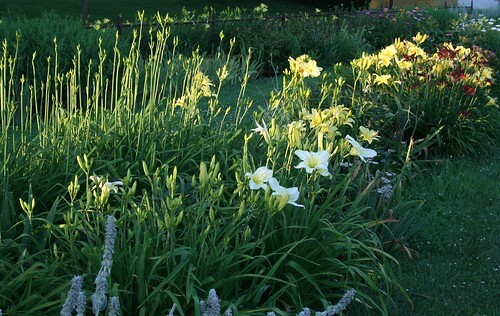 If you don’t know what that means…we keep a record of when the first flower appears on each daylily every year. 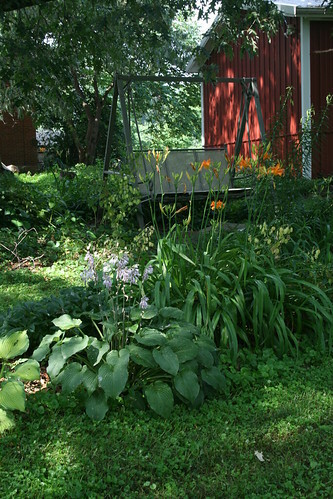 That shows us this year, for instance, that the daylilies are blooming 5 to 7 days earlier than last year. Interesting to us, if not to anyone else! ;-D Anyhoo, here are a few pics from the yard. 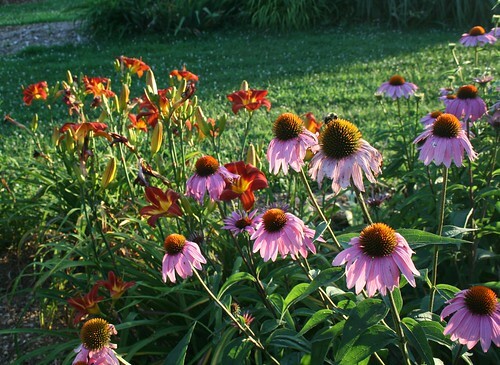 I like the way the centers of the purple cone flowers pick up the color of the ‘Baja’ daylily blossoms. 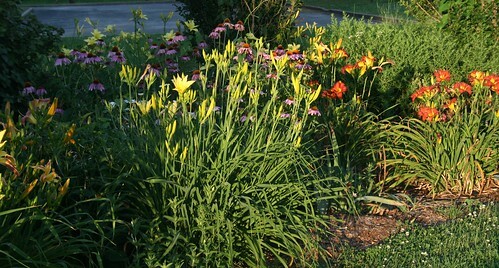 We have clumps of daylilies that haven’t bloomed yet. 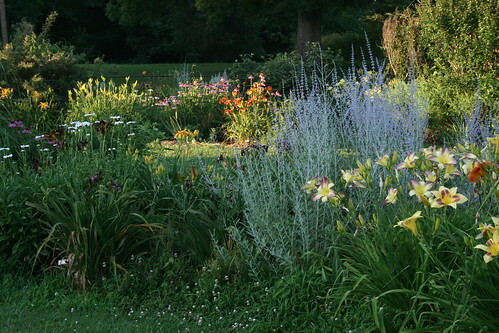 Can’t get enough of the garden when it’s daylily season. 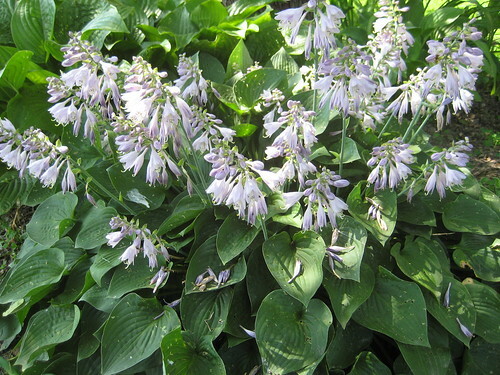 There are other things to see in the yard besides the daylilies, though. 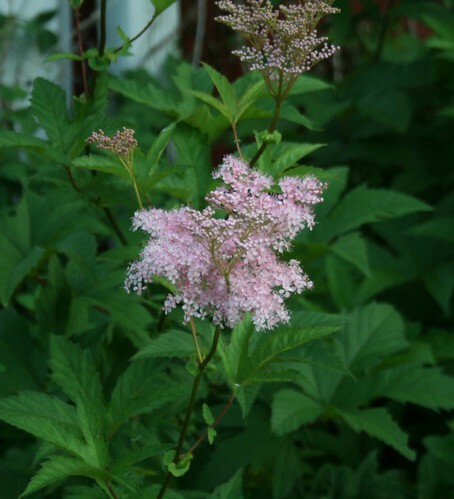 Queen of the Prairie is blooming by the garage. 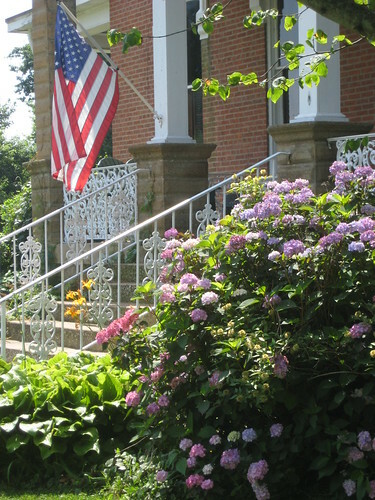 Don’t the hydrangeas look great? 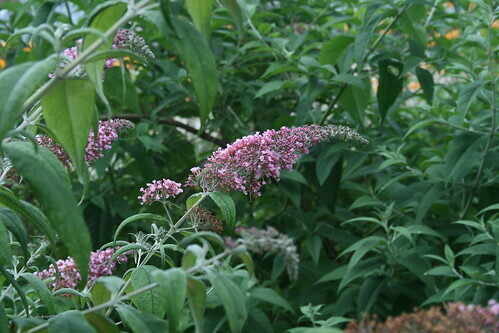 The butterfly bushes are attracting butterflies and all kinds of other insects. 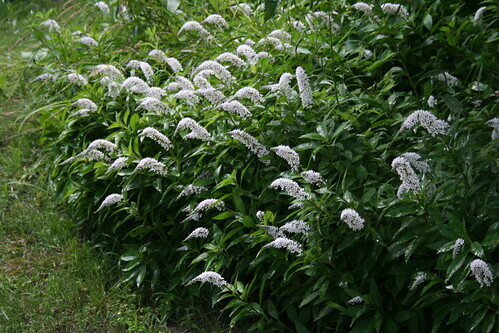 A gaggle of gooseneck loosestrife…they are wonderful in bouquets, lasting weeks. We had a little rain shower this afternoon. I took these pictures from under the carport. Come by. We’ll sit in the swing and watch the butterflies flutter by. Iced tea or lemonade? Enjoy others outdoor activities at Outdoor Wednesday. Check it out! 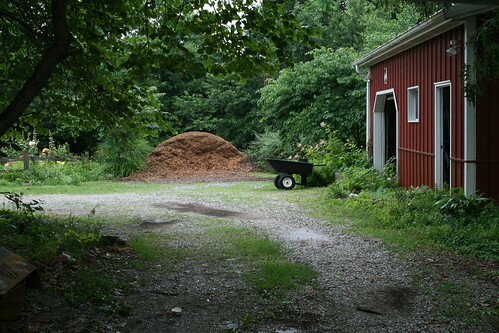 This entry was written by ~~Rhonda, posted on June 24, 2009 at 9:35 pm, filed under garden 2009, our garden and tagged daylilies, garden. Bookmark the permalink. Follow any comments here with the RSS feed for this post. Post a comment or leave a trackback: Trackback URL. 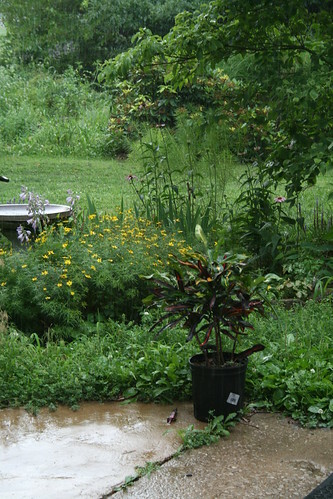 your garden is BEATIFUL, love it, thanks for sharing. 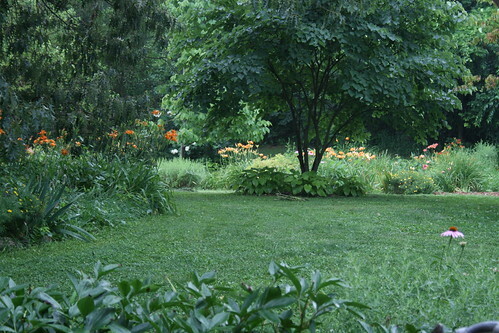 What a lovely garden… so tranquil! You should be very proud. What a beautiful place! Makes you want to just sit and take it all in. Thanks for sharing and thanks for stopping by my blog. I wanna come and linger in your yard for a few hours or so!